Don’t let what happened in the past prevent you from living your greatest life. Limiting beliefs about “what happened” are a huge block towards manifesting your Highest Potential – but they don’t have to be. The only thing we truly have control over in our lives is the MEANING we give the events of our life. We have very little control over our circumstances and the events of the world. So the question remains. Do you want to meet the world as a victim or as an empowered creator? The empowered co-creator of life looks at EVERYTHING from the past as lessons and as information. The empowered person takes note of the past and uses this new information to create a better future. God came from an egg. At least, that’s how He came to me. Don’t get me wrong, it was a very fancy egg. More specifically, it was an ersatz Fabergé egg decorated with colorful scenes from the Orient. Now about two dozen years before the episode I’m about to describe, somewhere in continental Europe, this particular egg was shunted through the vent of an irritable hen, pierced with a needle and drained of its yolk, and held in the palm of a nimble artist who, for hours upon hours, painstakingly hand-painted it with elaborate images of a stereotypical Asian society. The artist, who specialized in such kitsch materials, then sold the egg along with similar wares to a local vendor, who placed it carefully in the front window of a side-street souvenir shop. Here it eventually caught the eye of a young German girl, who coveted it, purchased it, and after some time admiring it in her apartment against the backdrop of the Black Forest, wrapped it in layers of tissue paper, placed it in her purse, said a prayer for its safe transport, and took it on a transatlantic journey to a middle-class American neighborhood where she was to live with her new military husband. There, in the family room of her modest new home, on a bookshelf crammed with romance novels and knickknacks from her earlier life, she found a cozy little nook for the egg and propped it up on a miniature display stand. A year or so later she bore a son, Peter, who later befriended the boy across the street, who suffered me as a tagalong little brother, the boy who, one aimless summer afternoon, would enter the German woman’s family room, see the egg, become transfixed by this curiosity, and crush it accidentally in his seven-year-old hand. The incident unobserved, I hastily put the fractured artifact back in its place, turned it at an angle so that its wound would be least noticeable, and, to this day, acted as though nothing had ever happened. Well, almost. A week later, I overheard Peter telling my brother that the crime had been discovered. His mother had a few theories about how her beloved egg had been irreparably damaged, he said—one being a very accurate and embarrassing deduction involving, of all people, me. When confronted with this scenario—through first insinuation and then full-blown accusations—and wary of the stern German matriarch’s wrath, I denied my guilt summarily. Then, to get them off my back, I did the unthinkable. I swore to God that I hadn’t done it. Let’s put this in perspective. Somewhere on a quiet cul-de-sac, a second-grader secretly cracks a flashy egg owned by a woman who’s a little too infatuated with it to begin with, tells nobody for fear of being punished, and finally invokes God as a false witness to his egged innocence. It’s not exactly the crime of the century. But from my point of view, at that moment in time, the act was commensurate with the very worst of offenses against another human being. That I would dare to bring God into it only to protect myself was so unconscionable that the matter was never spoken of again. Meanwhile, for weeks afterward, I had trouble sleeping and I lost my appetite; when I got a nasty splinter a few days later, I thought it was God’s wrath. I nearly offered up an unbidden confession to my parents. I was like a loathsome dog whimpering at God’s feet. Do with me as you will, I thought to myself; I’ve done wrong. Such an overwhelming fear of a vindictive, disappointed God certainly wasn’t something that my parents had ever taught me. Of course, many parents do teachtheir children such things. If you’ve ever seen Jesus Camp (2006), a rather disturbing documentary about evangelically reared children in the American heartland, or if you’ve read Sam Harris’s The End of Faith (2004), you’ll know what I mean. But my family didn’t even own a copy of the Bible, and I doubt if I had ever even heard the word “sin” uttered before. The only serious religious talk I ever heard was when my mother—who as a girl was once held down by exuberant Catholic children sifting through her hair for the rudimentary devil horns their parents told them all Jews have—tried to vaccinate me against all things evangelical by explaining how silly Christians’ beliefs were. But even she was just a “secular Jew,” and my father, at best, a shoulder-shrugging Lutheran. 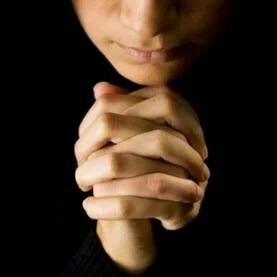 Years later, when I was a teenager, my mother would be diagnosed with cancer, and then, too, I had the immediate sense that I had fallen out of favor with God. It felt as if my mother’s plight were somehow related to the shenanigans I’d been up to (nothing worse than most teenagers, I’m sure, but also certainly nothing to commit indelibly to print). The feeling that I had a bad essence welled up inside me; God was singling me out for special punishment. The thing is, I would never have admitted to having these thoughts at the time. In fact, I didn’t even believe in God. I realized there was a logical biological explanation for the fact that my mother was dying. And if you had even alluded to the possibility that my mom’s ailing health was caused by some secret moral offense on my part or hers, you would have forced my intellectual gag reflex. I would probably have dismissed you as one of those people she had warned me about. In fact, I shook off the “God must really hate me” mentality as soon as it registered in my rationalconsciousness. But there’s also no mistaking that it was there in my mind and, for a few bizarre moments, it was clear as a whistle. It was around that time that God struck me as being curiously similar to the Mafia, offering us “protection” and promising not to hurt us (or kill us) as long as we pay up in moral currency. But unlike a hammer to the shin or a baseball bat to the back of the head, God’s brand of punishment, at least here on earth, is distinctively symbolic, coming in the form of a limitless array of cruel vagaries thoughtfully designed for us, such as a splinter in our hands, our stocks tumbling into the financial abyss, a tumor in our brains, our ex-wives on the prowl for another man, an earthquake under our feet, and so on. For believers, the possibilities are endless. Now, years later, one of the key motivators still driving the academic curiosity that fuels my career as an atheistic psychological scientist who studies religion is my own seemingly instinctual fear of being punished by God, and thinking about God more generally. I wanted to know where in the world these ideas were coming from. Could it really be possible that they were innate? 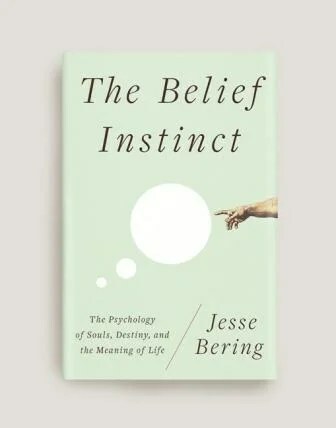 Is there perhaps something like a “belief instinct”? The gorilla, the chimpanzee, the orangutan, and their kind, must look upon man as a feeble and infirm animal, whose strange custom it is to store up his dead. Wherefore? Back when I was in graduate school, I spent several years conducting psychological research with chimpanzees. Our small group of seven study animals was housed in a very large, very sterile, and very boring biomedical facility, where hundreds of other great apes—our closest living relatives—were being warehoused for invasive testing purposes under pharmaceutical contracts. I saw too many scenes of these animals in distress, unsettling images that I try not to revisit these days. But it occurred to me that if humans were in comparably hopeless conditions as these chimpanzees, certainly the question of God—particularly, what God could possibly be thinking by allowing such cruel travesties—would be on a lot of people’s minds. So what exactly is it that can account for that instantaneous bolus of “why” questioning secreted by our human brains in response to pain and misfortune, a question that implies a breach of some unspoken moral contract between ourselves, as individuals, and God? We might convince ourselves that it is misleading to ask such questions, that God “isn’t like that” or even that there is no God, but this is only in answer to the knee-jerk question arising in the first place. I am one of an increasing number of biologists who see religion as a byproduct of something else. Perhaps the feature we are interested in (religion in this case) doesn’t have a direct survival value of its own, but is a byproduct of something else that does . . . [Religious] behavior may be a misfiring, an unfortunate byproduct of an underlying psychological propensity which in other circumstances is, or once was, useful. Evolutionary by-product theorists, however, may have been a bit hasty in dismissing the possibility that religion—and especially, the idea of a watchful, knowing, reactive God—uniquely helped our ancestors survive and reproduce. If so, then just as with any other evolved adaptation, we would expect concepts about supernatural agents such as God to have solved, or at least to have meaningfully addressed, a particular adaptive problem in the evolutionary past. And, indeed, after first examining the mechanics of belief, we’ll eventually explore in this book the possibility that God (and others like Him) evolved in human minds as an “adaptive illusion,” one that directly helped our ancestors solve the unique problem of human gossip. With the evolution of language, the importance of behavioral inhibition became paramount for our ancestors because absent third parties could now find out about their behaviors days, even weeks, after an event. If they failed to bridle their selfish passions in the face of temptation, and if there was even a single human witness to their antisocial actions, our ancestors’ reputations—and hence their reproductive interests—were foolishly gambled away. The private perception of being intelligently designed, monitored, and known about by a God who actively punished and rewarded our intentions and behaviors would have helped stomp out the frequency and intensity of our ancestors’ immoral hiccups and would have been strongly favored by natural selection. God and other supernatural agents like Him needn’t actually exist to have caused such desired gene-salvaging effects, but—just as they do today—the mental biases we’ll be examining certainly gave our ancestors reason to think that they did. One of the important, often unspoken, implications of the new cognitive science of religion is the possibility that we’ve been going about studying the God question completely wrong for a very long time. Perhaps the question of God’s existence is one that is more for psychologists than for philosophers, physicists, or even theologians. Put the scripture aside. Just as the scientist who studies the basic cognitive mechanisms of language acquisition isn’t especially concerned with the particular narrative plot in children’s bedtime stories, the cognitive scientist of religion isn’t much concerned about the details of the fantastic fables buried in religious texts. Instead, in picking apart the psychological bones of belief, we’re going to focus on some existential basics. Perceiving the supernatural isn’t magic, but something patently organic: a function of the brain. I should warn you: I’ve always had trouble biting my tongue, and we’re going to address head-on some of life’s biggest questions. Is there really a God who cares about you? Is there really a special reason that you are here? Will your soul live on after you die? Or, alternatively, are God, souls, and destiny simply a set of seductive cognitive illusions, one that can be accounted for by the unusual evolution of the human brain? It seems Nature may have had a few tricks up her sleeve to ensure that we would fall hook, line, and sinker for these spectacular ruses. Ultimately, of course, you must decide for yourself whether the subjective psychological effects created by your evolved cognitive biases reflect an objective reality, perhaps as evidence that God designed your mind to be so receptive to Him. Or, just maybe, you will come to acknowledge that, like the rest of us, you are a hopeless pawn in one of natural selection’s most successful hoaxes ever—and smile at the sheer ingenuity involved in pulling it off, at the very thought of such mindless cleverness. One can still enjoy the illusion of God, after all, without believing Him to be real. Either way, our first order of business is to determine what kind of mind it takes to think about God’s mind in the first place, and one crucial factor—indeed, perhaps the only essential one—is the ability to think about other minds at all. Our greatest power as humans is our ability to perceive. To perceive something is to understand, notice, or interpret something in a particular way. In that, our ability to choose how we perceive something is our innate power of creation. Reality is to each individual what is perceived by each individual. Reality cannot ever be truly solid when it fluctuates according to each person’s understanding of it. Simply speaking, it is what one thinks it is to them. And although two people may have differing ideas of what it may be, no one person can be right or wrong. To each individual, the world is expressed through the processes of their mind and each mind is different. Because so many humans understand this truth, the race has begun to find a way to rise above individual perception and arrive at ultimate truth. The various avenues that we take are endless. Science, religion, mysticism, philosophy, and intellectual disconnect all seek out definitive truth that is free from the interference of self. There is glory in this pursuit and it serves its purpose well enough. Yet this pursuit can sometimes inflict an unbalance in one’s ability to serve their purpose. Although we must be cautious to not solely believe in a self-created singular reality, we must also not forget that the ability to choose how we perceive is a blessing. Understanding the power of our perceptions allows us to rise above self created illusions. Using the power of our perceptions allows us to playfully create as beings in God’s image. To avoid getting trapped within the confines of the ego, we each must learn to first identify and then consciously control our perception. There are countless tricks to identifying our ‘perceptional niche’, or the singular way that we choose to perceive and thus experience our reality. Beginning as early as childhood, one can simply explore the world around them with pure curiosity, unhindered by personal judgment. As simple as this task sounds, it can be more and more difficult as a person ages and has already begun to create the template for their world. As children, this comes simply. The ego is still fresh and new, it is yet without form seeking the role it will take in self identity and eventually the world’s identity. But as a person develops, the ego also develops, bringing with it a structure that determines how that person will see, feel, and believe what is around them. To continue on in such a way without taking the next step in identifying one’s personal perspective is to continuously limit the world to smaller and smaller restraints until, eventually, all beauty and mystery has been stripped from its capacity. Although common, such a devastating transition is not compulsory. 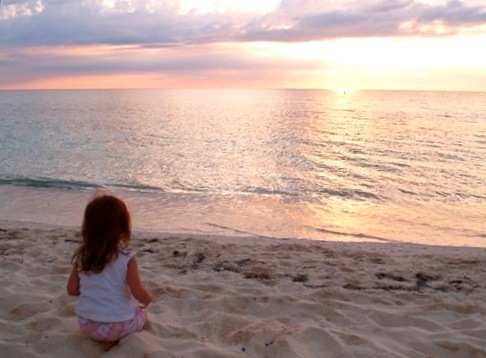 As adults, we must take steps to avoid falling into this trap and teach ourselves how to keep our perception liquid and pliable, thus constantly renewing the awe we had for life as children. The first technique that keeps our perceptions liquid is to attempt to maintain the mindset of a child. Taken out of context, this statement is outrageous. But it is the wonder and curiosity of childhood that we should seek to retain into adulthood. Curiosity is the building block for outward thinking. It gives us the reason to see things through the understandings of another. Curiosity lacks judgment and does not jump to conclusions. Rather, it is a simple interest, a question that one admits they cannot yet answer. As adults, curiosity can fade as people begin to feel as if they have the answers and begin to believe that there is only one good answer to most questions. This only helps to shrink the size of their box bit by bit. Empathizing with others is another trick to keeping an open and changeable perspective of experience. When we concern ourselves with the experience of others, we invite that experience to become our own. Miraculous changes can occur both mentally and spiritually as a result of understanding the workings of another’s mind or emotions. Suddenly, we can perceive the world through their eyes. Many times, just a moment of doing this can lead to transformational realizations, a moment of awakening when one realizes that they are not the center of the world. Rather, they learn that they are but a mere piece to an enormous puzzle where each piece has a different angle of view. Integrity is a direct path to unfixed perceptions and thus to unending knowledge. When a person is truly honest with their self, they unavoidably acknowledge that they are not perfect. Integrity leads a person to embrace mistakes, failures, and being wrong; welcoming these things as invitations to growth. The more that we acknowledge our own imperfections, the more open we are to experimenting with new ways of seeing and understanding things. If I admit that I do not know it all, for example, I am willing myself to seek out the places where there may be more to learn. This then inevitably leads to experimentation with new perspectives and fresh outlooks. There is great personal power in understanding what perception can do in one’s life. When a person understands the level influence that their outlook has on events, they can learn how to control and even extinguish the damaging ones. This allows a person to fully experience the world around them without the interruption of a limited viewpoint. In the 1950s, the perspective of many U.S. citizens was played with and used as a pawn in a game of wars. Because of this entrapment of perceptional limitations, many things were completely misunderstood and led to actions that would have otherwise been unthinkable. Because of history such as this, some people focus intently on singling out personal perceptions, questioning them, and re-aligning them as much as possible. This of course is the only way to learn. If any one person continues to look at things the same way day in and day out, then they will never learn anything new about what they are seeing. But, if a person chooses to question themselves and what they think they know, suddenly a whole new world of understanding can open up before them. Although there are clear dangers in the ability to choose how we perceive things, there is also great wonders and excitement. Perceiving the world in the way that we choose is a gift that literally gives us the ability to choose our experience. How I see the world today should not be the way that I see the world tomorrow. If it is, then I have learned nothing today. However, how I choose to see the world today also dictates how I will experience it tomorrow. What each of us perceives is what we will react to and thus what we will create. Knowing this, we can choose to perceive it however we like in order to create what we like. The key is in remembering to never stick to one limited scope. If a person wishes to experience happiness, for example, then all they have to do is perceive the world as encouraging and embracing it. This does not have to be hard. On the contrary, the possibilities are endless. Every single event in a day is a provocation of our minds to choose how we experience it.